Considering teeth whitening? You are not alone. Here is a brief overview or ‘Cliff Notes’ on teeth whitening options of How to Whiten Teeth. Please contact our office for a consultation to discuss the best teeth whitening treatment for you. · Strongest concentration of Whitener. · Only available under treatment of a Cosmetic Dentist. · A hybrid between Laser Whitening and OTC. · Cosmetic Dentist creates mold of your teeth; you treat at home 1-3 weeks. Results vary based on stain level. Teeth Whitening does not damage the enamel outer layer of teeth. Whitening permanently changes the color of an individuals teeth forever. The patient can still get stains such as coffee and tea stains on the outer surface, but these exterior stains can be polished off at a regular dental cleaning visit. Once the teeth are polished, the underlying whitened teeth are visible again. One special advantage of option two is the whitening trays can be used into the future for monthly touch-up whitenings. Often times, Cosmetic Dentists will include the whitening trays with the Laser Whitening service for free or for a small extra fee. Patients can sometimes experience minor tooth sensitivity after or during the tooth whitening process. The sensitivity is transient and will subside in a period of 1-2 days after teeth whitening. Most patients will experience very minor sensitivity. No study has shown any damaging effects to teeth by Whitening procedures. It is important to note that only enamel of teeth whitens. Dental materials such as composite fillings, porcelain crowns, etc. do not whiten with whitening treatments. 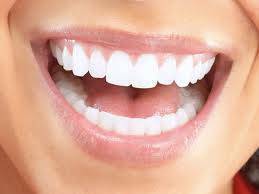 White spotting details of teeth may also get brighter during whitening treatments and become more conspicuous.